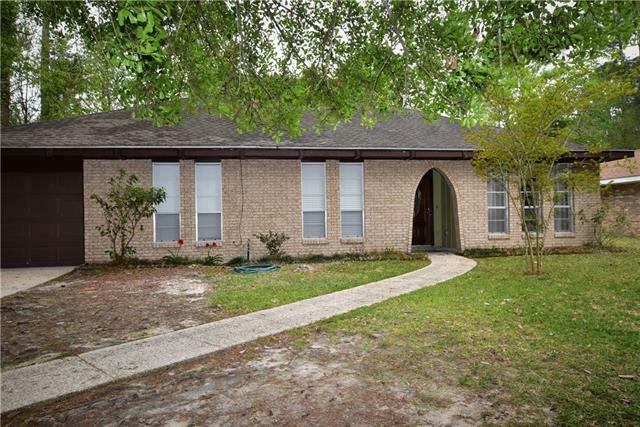 BEAUTIFUL HOME IN ONE OF SLIDELL'S MOST HISTORICAL AND DESIRABLE NEIGHBORHOODS*WALK THRU FRT DR ENT. TO HARDWD FLRS THROUGHOUT LIV.RM,FORMAL DIN.& HALL* LIV. RM OPEN TO BRKFAST & KIT.W/NEW TITLE,GRANITE CNTRTPS & CABINETS*BTHRMS W/ GRANITE CNTRTPS*ALL RMS HAVE NEW TILE.FRESH PAINT THROUGHOUT HOME*NO CARPET* ENJOY PEACEFUL FENCED BACKYARD & SCREENED IN PATIO AREA FOR ENTERTAIN * PROP. HAS GATE ACCESS TO BACK* MIN. FROM SHOPPING & INTERSTATE* A MUST SEE!